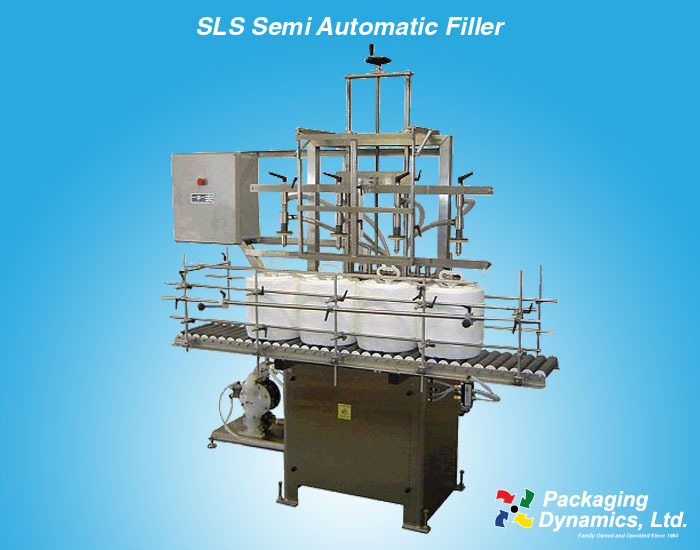 SLS Semi-Automatic Filler - Packaging Dynamics, Ltd.
Packaging Dynamics, Ltd.’s Semi-Automatic “Fill-to-Level” Liquid Filler was engineered for manual and incase applications. Standard Features include Stainless Steel Machine, 6 foot slide plate, product pump, supply tank and stainless steel contact parts. The operator pushes the manual container stop out, moves the containers to be filled along the roller conveyor surface into position under the nozzle bar assembly and pushes the cycle start button. Upon completion of the fill cycle the nozzle bar assembly automatically returns to the starting position. It’s as simple as that. 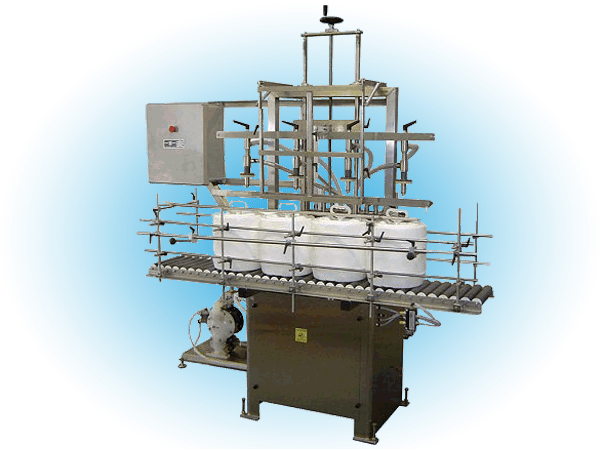 Included with the machine’s standard Features are Quick change nozzle adjustment and Quick change conveyor rail adjustment handles that aid in reducing expensive change over periods.